Apple’s Q118 results surprised analysts because the iPhone shipments were higher than forecasted. . All the predictions expected a disaster due to poor sales of the iPhone X, which turned out to be the best selling smartphone model in the quarter, even as the volume only reached 16m. 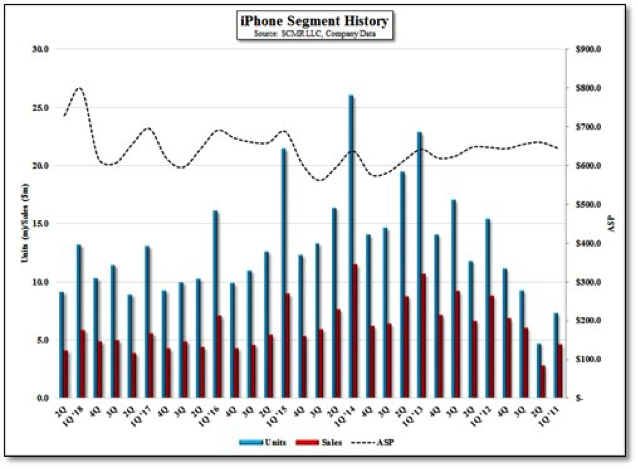 Although the break-out between the iPhone X and the iPhone 8/8+ was not given, the 8.5% q/q reduction in the overall iPhone segment ASP, indicates that some of the reduction was due to a higher percentage of lower priced models relative to 1Q even as purchases of iPhones with lower memory configurations would also contribute to a sequential ASP reduction. The OLED-based iPhone X sold at least 25.8m units in 4Q and at least 17.4m units in 1Q, for a minimum of 43.2m units combined. Apple is expected to release two OLED iPhones this year, which will help Samsung Display improve its low utilization small panel flexible OLED fab capacity. Unfortunately, Apple to be doubling down on making the iPhone X and its derivatives an ultra high priced device with ASPs expected at ~US$900 for the 5.85” version and US$1,400 for the 6.3” version, which is now expected to compete with Samsung’s Note. 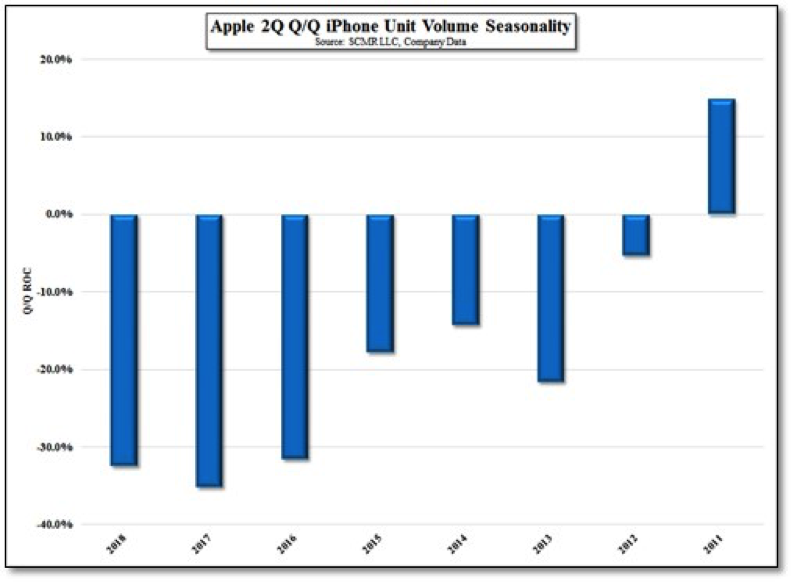 Apple’s logic assumes that they can interest a smaller but well healed market with the upper end. In essence, Apple will now compete directly with Samsung S9 line-up; a lower 5.8” device (iPhone 9 vs. the Galaxy S9), a higher priced iPhone X vs. the Galaxy S9 Plus and a very high priced 6.3” iPhone X Plus vs. the Note 9.